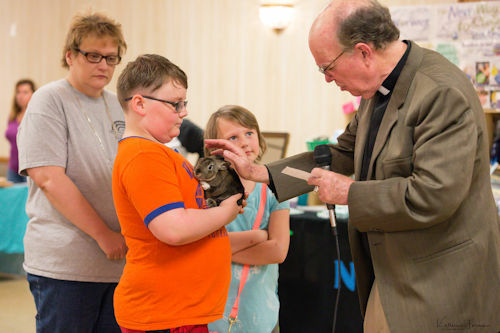 Because we are Pet Parents too, each year in the springtime, we, Thompson-Miller Funeral Home, sponsor a "Blessing of the Animals and Pet Fair"! As a service to our community, we organize this free event to bring together pets, pet owners and homeless animals in need of adoption. There is NO fee to attend. An animal chiropractor, a variety of great vendors, a caricaturist will be there to sketch you and your pet and there will be a Chinese basket auction to benefit one of our favorite non-profit organizations, Canine Companions For Independence! To view pictures of last year’s event, go to O’Shea, Grief Companion Dog Facebook page. We welcome anyone in the community who love and enjoy their pets to join with others and honor them. Come and join us for the 13th Annual Blessing of The Animals and Pet Fair!! It's fun!! Sunday, May 5, 2017 1:30 - 4:30 p.m. If you would like more information about this event or information about becoming a vendor, please feel free to contact us at 724-287-2273 or by e-mail, Robin Miller at millerr@zbzoom.net.